The biggest tech conference in the Baltic States brings together world-class experts in Java, .NET, DevOps, Cloud, Software architecture, and emerging technologies. The fourth edition of Riga Dev Days will feature over 50 speakers and more than 60 carefully selected talks. 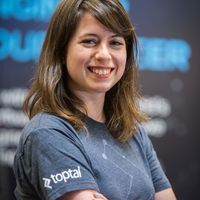 Toptal is proud to have Amaury Martiny, a Toptal developer, as one of the speakers at this event. His talk, titled DApps and the Decentralized Web takes place on May 30, 3:30 PM in Room 2. Amaury’s talk is aimed at developers who are familiar with the Web 2.0 client/server architecture for building web apps, who have heard about the hype around blockchain, and who want to step into its technical side. This talk will explain why to develop on the blockchain Web3 architecture, and how to get started with it. The full conference takes place May 29-31 at Kino Citadele, one of the largest and most contemporary film theatres in Eastern Europe. For more information and to get tickets, please visit the event website.